Below is a comprehensive list of hotels in Styal Country Park. Use the sort links to refine your search or to find featured accommodation in Styal Country Park. Many of our hotels in Styal Country Park feature no booking fees and best price guarantee when booked through the Pictures of England website. 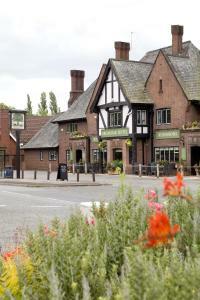 To list your hotel in Styal Country Park, click here. Situated in Birch Vale, this holiday home is set 20 km from Manchester. The property is 34 km from Sheffield and free private parking is provided. Fre..
Church End Cottage is a holiday home located in Birch Vale, 20 km from Manchester. The unit is 34 km from Sheffield. The kitchen comes with an oven. ..
Set in Chinley, this holiday home is located 24 km from Manchester. The property is 34 km from Sheffield and free private parking is featured. There ..
Summerbottom Cottage is a holiday home located in Mottram in the Greater Manchester Region and is 15 km from Manchester. The property is 37 km from Sh..
Set on a stunning rural location on a working farm, Ladderstile Retreat offers bed and breakfast accommodation and free WiFi. This property is located.. 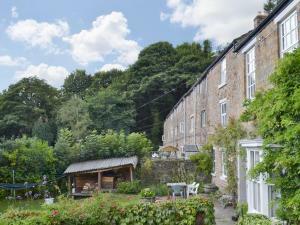 The Shady Oak B&B is set in Whaley Bridge, 26 km from Manchester. Guests can enjoy the on-site restaurant. Free WiFi is provided throughout the proper.. 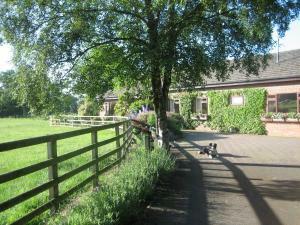 Located in Hayfield in the Derbyshire Region, this holiday home is 18 km from Manchester. It provides free private parking. 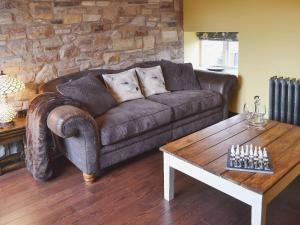 There is a dining area an..
Marl Farm Cottage offers pet-friendly accommodation in Hayfield, 18 km from Manchester. The unit is 34 km from Sheffield. 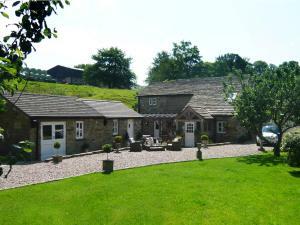 Free WiFi is featured throug..
Hague End is a holiday home situated in Mottram, 15 km from Manchester. The unit is 49 km from Leeds. The unit is fitted with a kitchen. 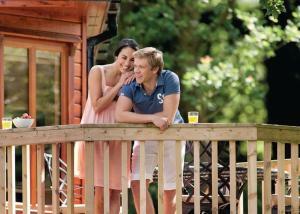 There is a p..
Set in Glossop, Charlesworth Lodges offers a garden and barbecue. The accommodation features a hot tub. Manchester is 17 km away. Free private parking.. Situated in Ashton under Lyne, 10 km from Manchester, The Broadoak Hotel boasts a restaurant, bar and free WiFi throughout the property. Guests can en.. This 17th-century former coaching inn offers free private parking just 15 minutes’ drive from Crewe’s town centre. A seasonal menu and continental..
A 7-minute drive from the centre of Congleton, HP Bed and Breakfast offers comfortable rooms and cooked English breakfasts. This east Cheshire guest h.. Located in Birch Vale, the Waltzing Weasel offers free on-site parking and views over Kinder Scout National Nature Reserve. The family-run bed and bre.. 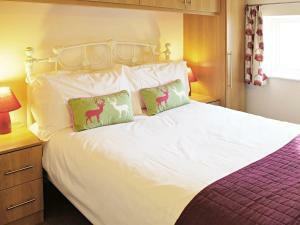 The Chat Moss Hotel is situated in Glazebury, 17 km from Manchester. Guests can enjoy the on-site bar. Free WiFi is offered throughout the property an.. Situated in Hayfield in the Derbyshire Region, 22 km from Manchester, Fuchsia Bank Cottage boasts a barbecue and sun terrace. Free private parking is .. 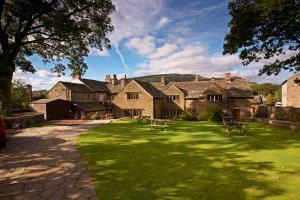 Situated at the heart of the Peak District, The Old Hall Inn offers free Wi-Fi. 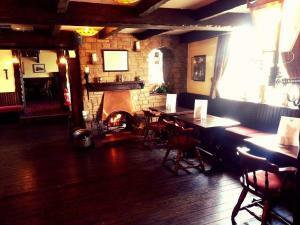 The quintessential English country pub is set just 15 miles from Manch.. 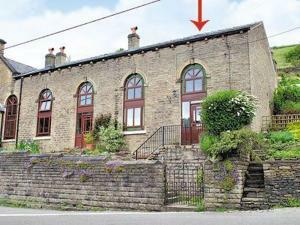 Located 25 km from Manchester, The Old Coach House II offers accommodation in Chinley. The property is 32 km from Sheffield and features views of the .. 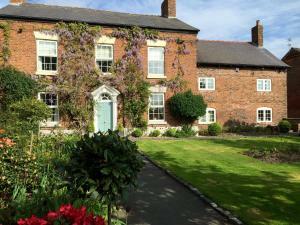 Featuring free WiFi, Millie's Bed & Breakfast offers pet-friendly accommodation in Hayfield, 22 km from Manchester. The rooms are fitted with a flat-..